The Solid Waste and Sanitation Management project implemented by Friends Service Council Nepal is funded by WASTE Netherlands in coordination with Nepal WASH Alliance. It is ongoing project implemented in urban sector of Butwal and Tillottama Municipality of Rupandehi Districts, Western Development Region of Nepal. The project also aims to introduce up scaling mechanisms beyond the scope of this project by creation of demand, capacity building and engaging the private sector (suppliers of products and services) and financers as enabler. The project also aims to develop Income Generation Activity (IGA) through strengthening the economic viability of interventions and creating linkage between different WASH stakeholder through solid waste and sanitation management. Public Private and Civil Society Partnership (PPCP) model has also been introduced considering the “Diamond” model of WASTE. All activities are based on the FIETS principles. This resembles the land fast integrating community people, WASH related actor, Private sector, Governmental Institution and financial sector as the single body. 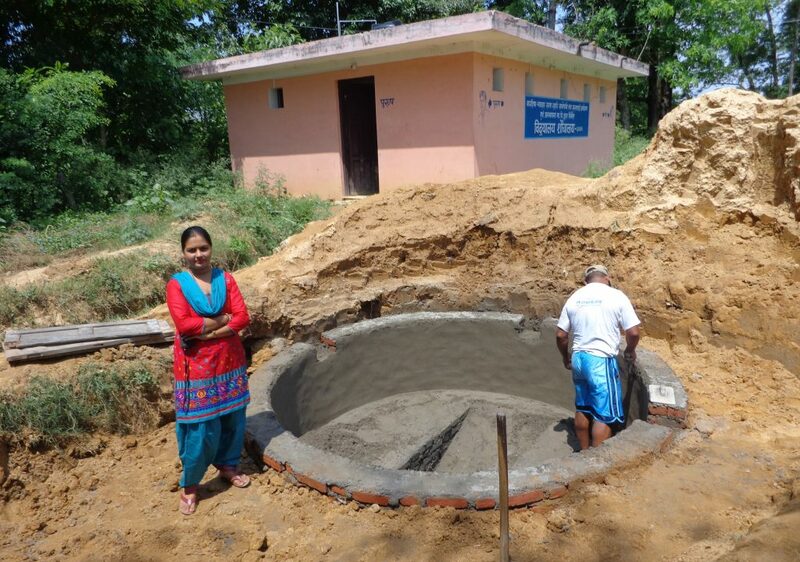 One of the major activities of this project is construction of community level bio-gas plants.